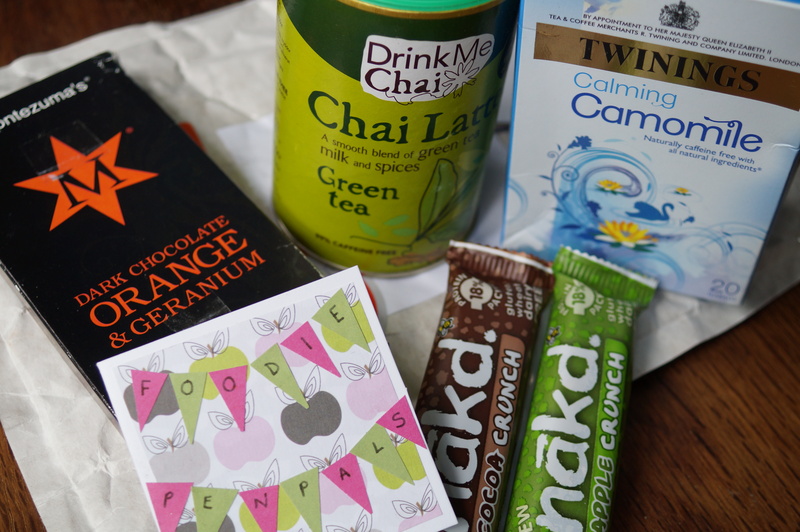 Eek, bit late with this one, sorry dudes! 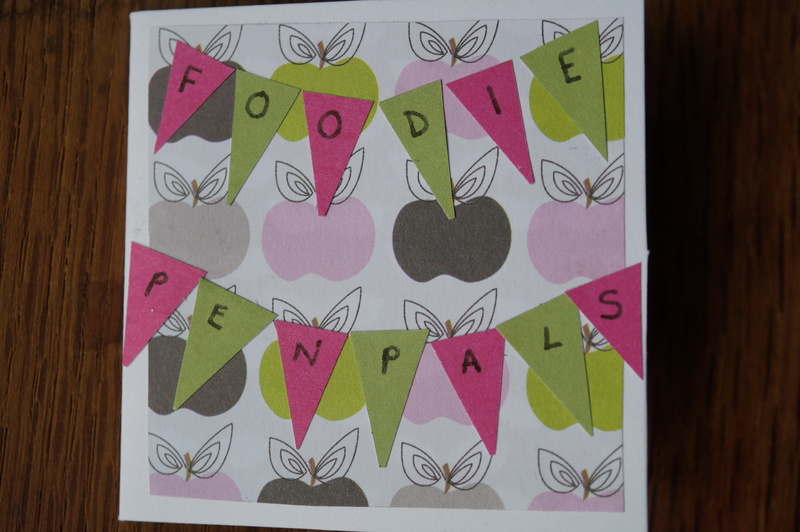 Firstly a big thank you to Georgina from www.whatpegmade.blogspot.co.uk for the really lovely foodie penpal parcel this month including super cute handmade card. 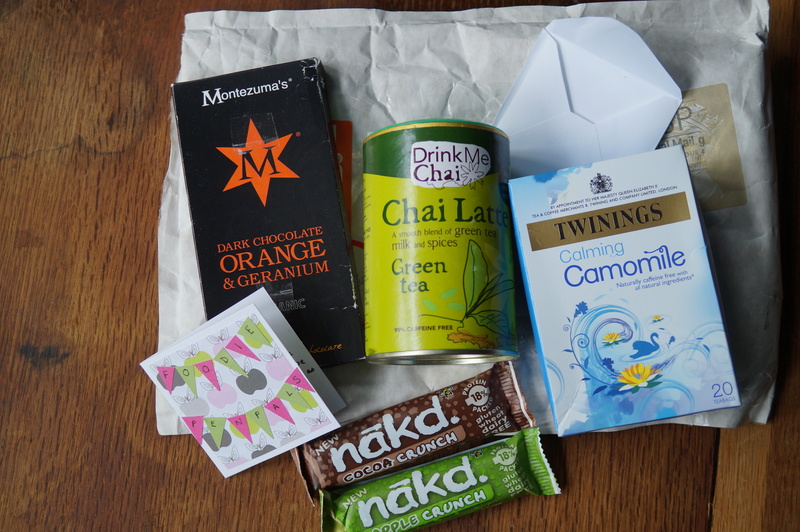 The tea shelf is now very happy with its new additions and I made swift work of the nãkd bars. They’re pretty low guilt as they’re mostly made of squished up nuts and dates so deffo need to have a go at making cereal bars this way. 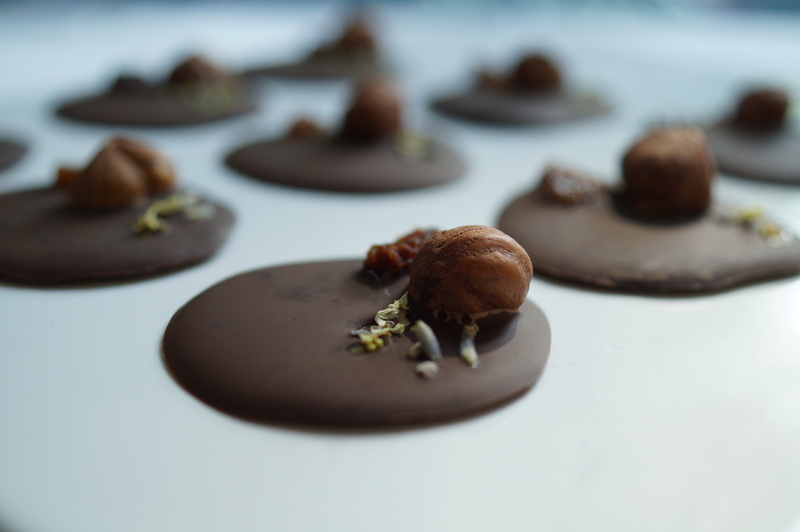 I umm-ed and ahh-ed about what to do with the chocolate because it seemed too exciting to just munch as is…but didn’t want to go too elaborate either because I’d hate to detract from the geranium. 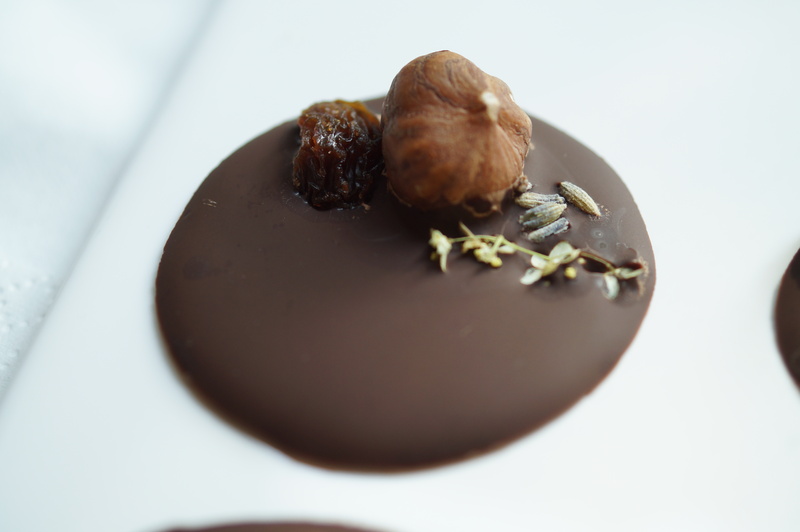 So, after much deliberation here is a very, very simple recipe for chocolate florentines. 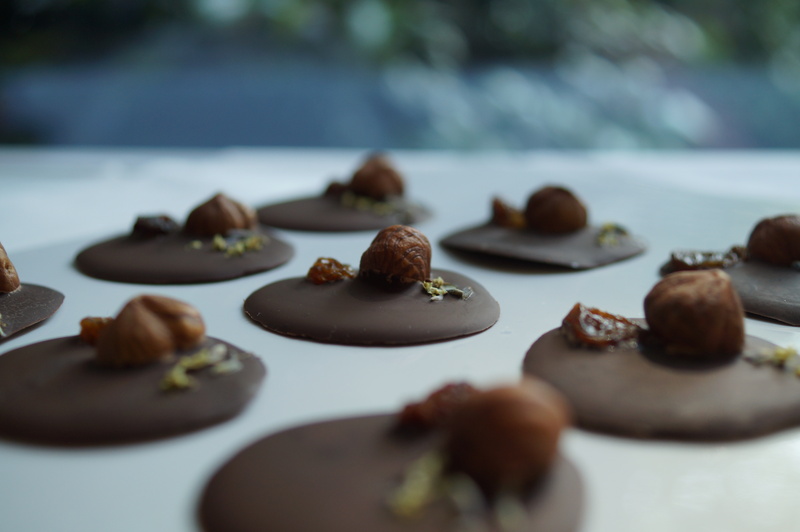 These fancy chocolate buttons are possibly the easiest chocolates to make and look lovely in a box of handmade truffles or as a super gift to take to a last minute dinner party. 1. Gently melt the chocolate in a bowl set over a pan of simmering water. 2. Lay a large piece of tin foil flat on a work surface or large chopping board, preferably in a cool place. 3. 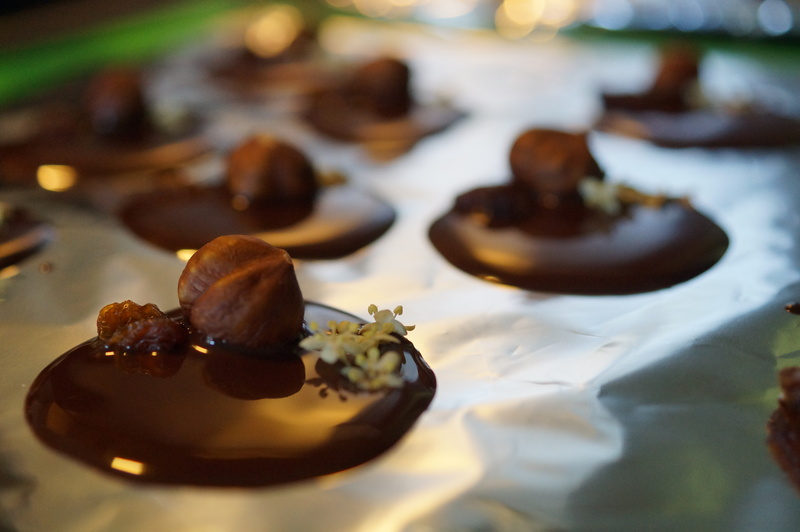 Carefully drop teaspoonfuls of chocolate onto the foil and spread out so they are just slightly bigger than a £2 coin. 4. 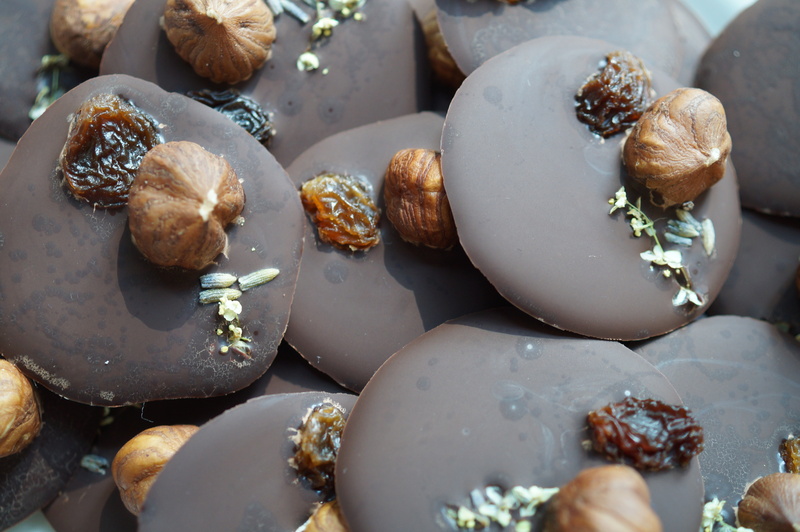 Decorate each one with a few nuts, dried fruit etc. It looks really smart if they all look the same. 5. Leave to set hard somewhere cool and serve. They’re really nice with coffee or as and edible decoration to a simple dessert.